Front Page > Swindon Life > Changing Swindon? The expansion of Swindon and its effect on the environment and peoples' lives was at the centre of a conference on sustainability at the STEAM museum today. Grand Designs presenter Kevin Mcloud one of a number of guest speakers invited to the event organised by Swindon Borough Council entitled 'One Planet Swindon'. An agenda that included discussing topics such as the design of modern homes and the use of public spaces, transport issues, reducing waste and energy saving initiatives, and how to encourage local trade. 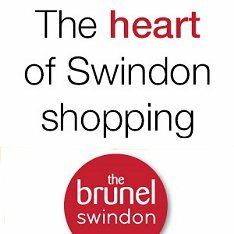 Watch our SwindonWebTV interviews above with Swindon Borough Council leader Rod Bluh and Kevin McCloud to hear their views including opinion on the redevelopment of Swindon town centre itself. One small step for err... Swindon!